We all want our children to grow up to be successful individuals. A strong academic foundation, like the one at Cranium Academy, is a great start but there are other ways that you can start ensuring your child’s future success. One of them is teaching them good financial habits. Attitudes and financial habits develop at a very early age, which is why it’s so important for us to teach our children how to responsibly handle money from the get-go. Below are some useful tips that might help you teach your children the purpose and value of money. Simply put, money is something that you can exchange for something else. Depending on your child’s age, you may want to teach her the word “currency.” You can give your child an example of this exchange by giving her a couple of dollars and allowing her to select a fruit or piece of candy from the store, which she can use the money to buy. This will help her grasp the concept of currency in everyday life. Another great way to teach preschoolers the value of money is by playing “store” with pretend money. You can set up a “store” in your house with a toy register and allow “customers” to purchase household items using the pretend money. This will teach your child the value of money and how its used to acquire different items. How do we count money? Once your child learns the counting basics, you can explain to him that each coin has a different value and explain their relationships with one another. Help your child understand that two nickels are worth as much as one dime and that two dimes and one nickel are worth as much as one quarter. This will help your child understand that some coins are worth more than others but that they all have value in their own way. Piggybanks are another great way to help your child understand the value of coins. Encourage them to collect coins and save them in their piggybank. Then, pick a time to empty out its contents and have him count the coins inside. Your child will have fun sorting the different coins into piles and adding up the value of each pile, then adding up the grand total. What are coupons and how do we use them? Explain to your child that coupons are a way to save a little extra money when you go shopping. You can use newspapers and magazines that come full of coupons as a learning tool for your child. Many coupons include pictures of the items so it’s a good idea to go through the book with them and let them choose which coupons they think will be helpful to your family. Cut out these coupons and place them in an envelope. Next time you take a trip to the store, give your child the coupon envelope. If she is old enough, ask her to help you find the items on the coupons on the store shelves. This activity is a great way to teach your child the importance of discounts and getting the best deals. In addition to the concepts listed above, perhaps the most crucial one that we should begin instilling is how important it is to save money. A good way to teach this concept is by setting up a savings account for your child. Children generally tend to get excited about this because they feel like responsible adults when they have their own bank account. For children that receive allowances, encourage them to deposit a percentage of it into their saving account every time they get it. When your child is old enough, explain to him that when he puts money in his savings account, the bank pays interest on it every month; so he is earning even more money than he put in. 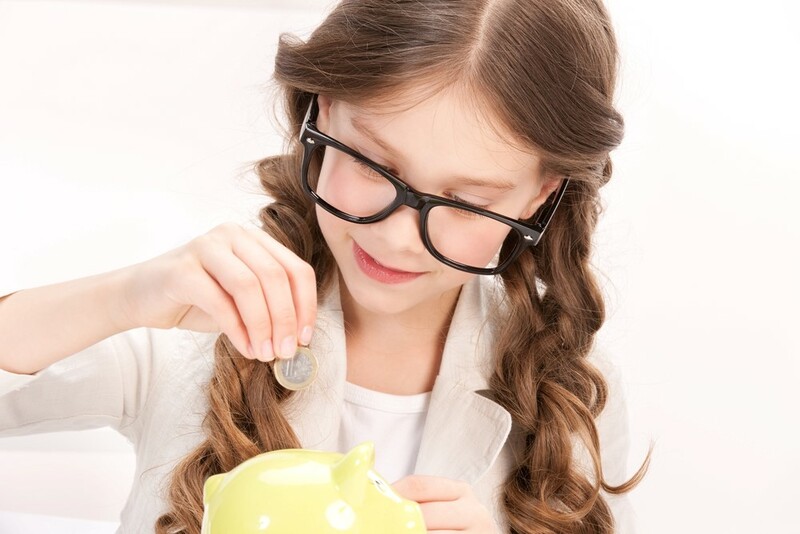 You can reinforce the importance of saving money by considering matching whatever amount your child saves. This will encourage them to save more money, more frequently.